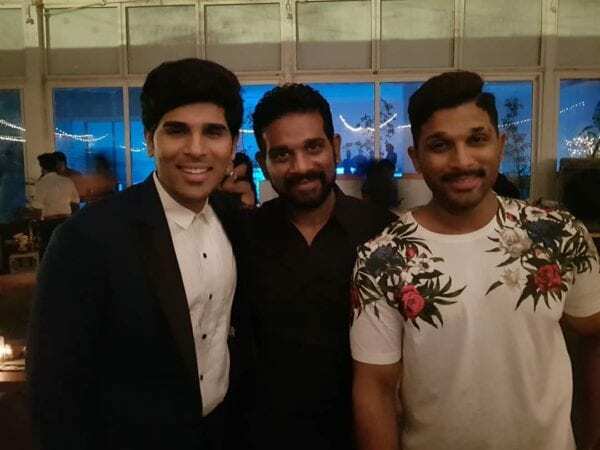 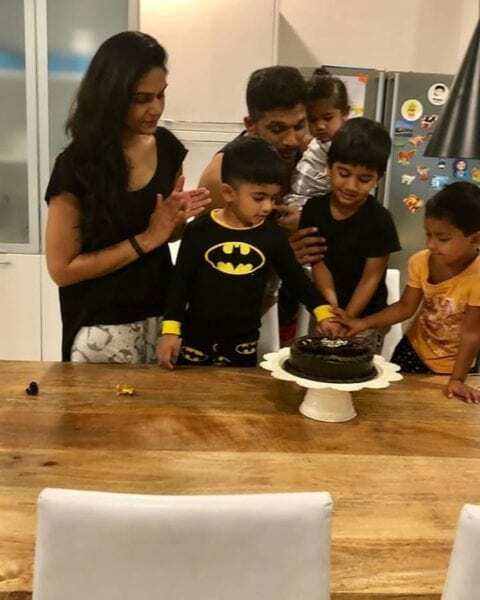 Allu Arjun celebrated his 35th birthday on Sunday with friends and family. At his birthday bash, Allu Arjun looked stylish in white trousers and white floral printed T-shirt. 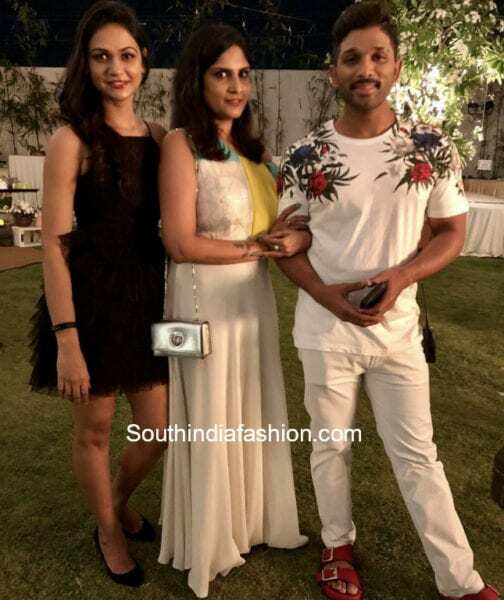 His wife Sneha was seen in a black ruffled mini dress paired with black platform heels. 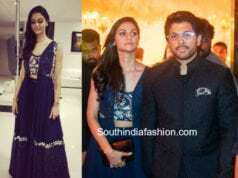 Scroll down for more pictures from Allu Arjun’s birthday bash..
Allu Arjun and Sneha Reddy’s Festive Looks! 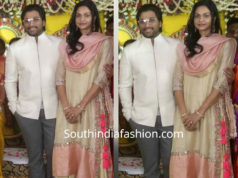 Sneha Reddy, Ayaan and Arha’s Ethnic Looks!